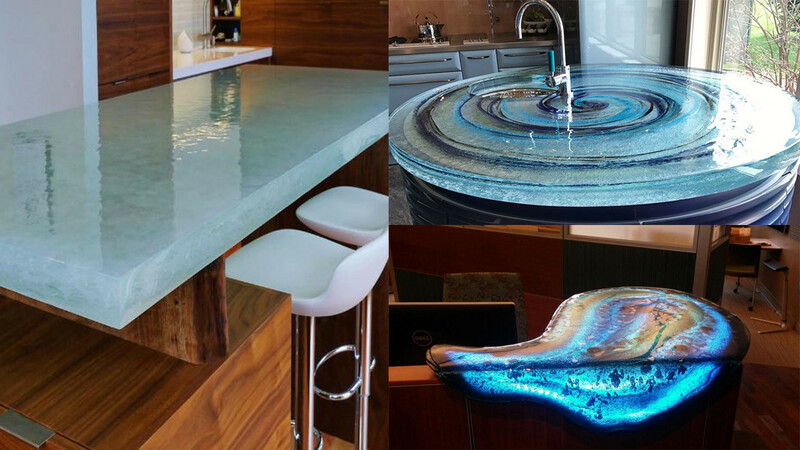 Here are 14 spectacular architectural art glass countertops are absolutely amazing. If you are looking for something fabulous to make your kitchen stand out then these are sure to do the job. Most of these countertops have been custom made to fit the spaces. If you follow the links underneath each photograph you can visit the websites of the companies that have made and designed these. They are a great choice for homes, offices, commercial premises or anywhere else a counter is featured. Custom made elements are great because you know you will get the perfect piece to fit your space. If your counter space is a strange fit a custom designed countertop is the best way to get something amazing that works well. 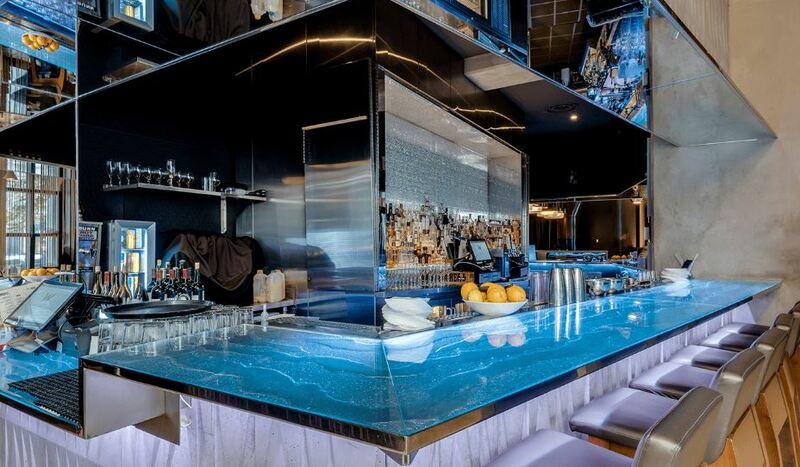 Glass countertops are a cool choice for any commercial premises because they are so unique. They are also a good branding idea because you can use colors or designs that customers are sure to remember. If you are building your own home or redesigning your kitchen you will want to check these out because there are some great options. 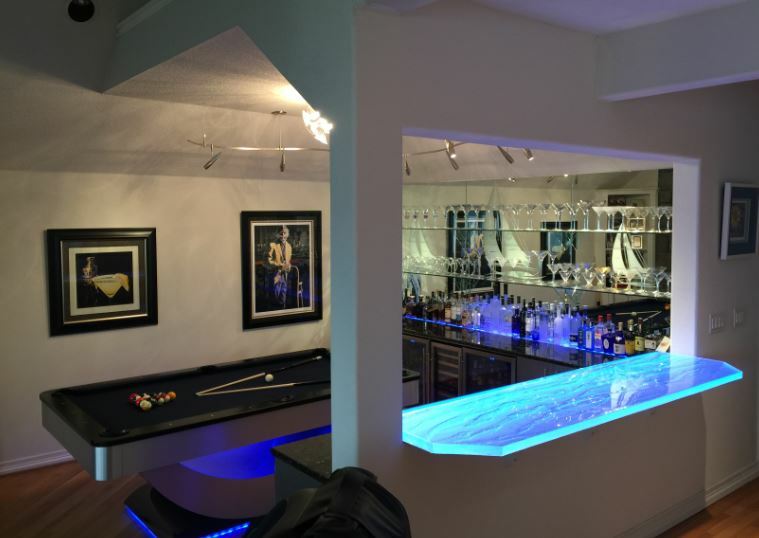 This beautiful blue countertop is great because it totally transforms the look of this bar. The color and the wave-like pattern are reminiscent of the ocean. This countertop makes this room look fresh and amazing. 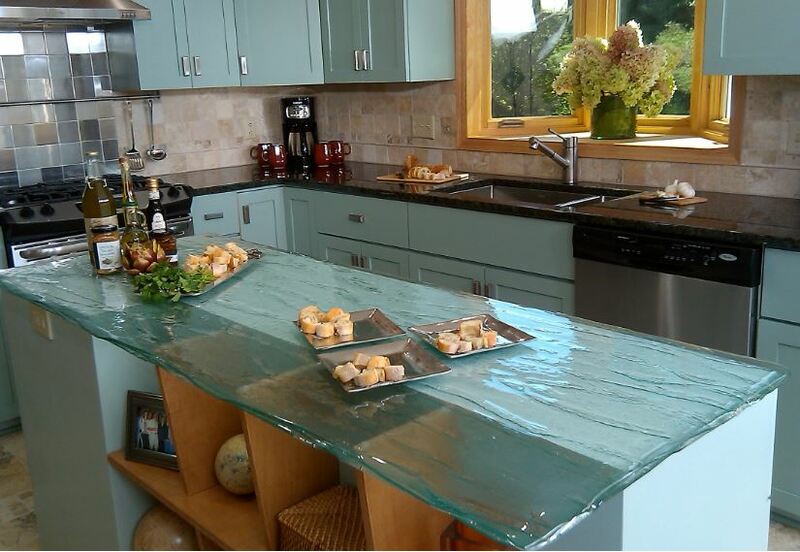 This thick glass countertop is the stand out feature in this kitchen. 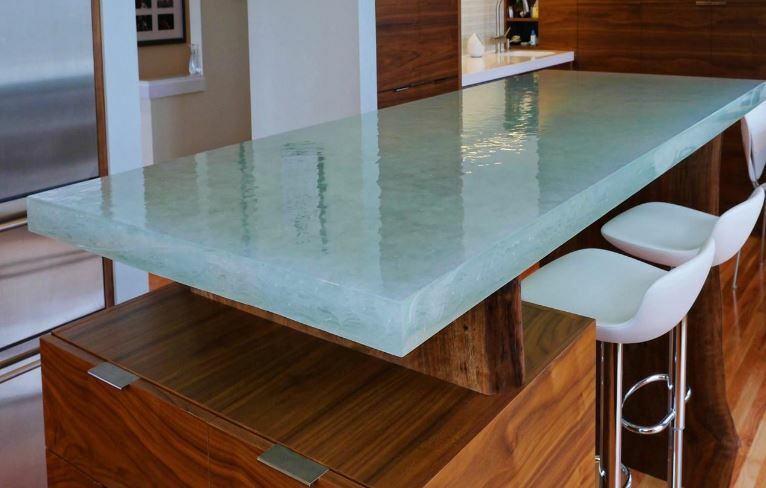 A custom made glass countertop is sure to give any kitchen an instant lift. 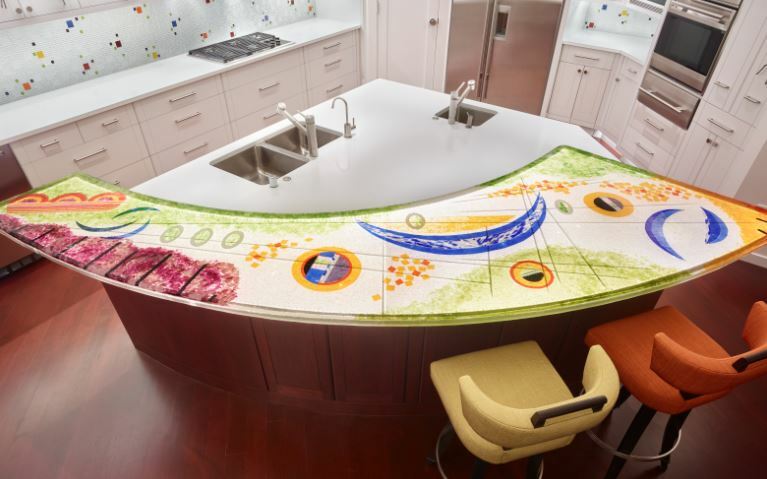 This cool custom countertop creates a counter where there was not one before. It is cool because it is designed to fit the space perfectly and the patterns in the glass are so unique and interesting. The colors definitely add to the atmosphere of this neutrally colored room. This countertop is great because it adds a fresh vibe to the whole kitchen. 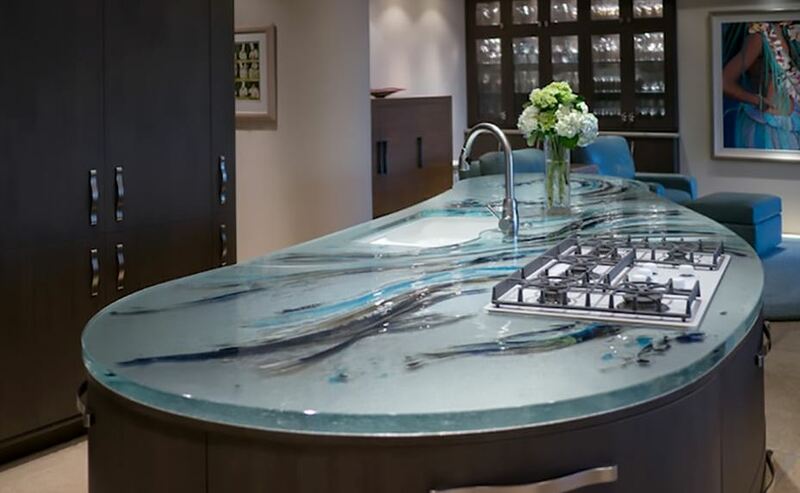 The glass countertop features interesting edges and a soft, effective pattern. If you love bright colors you will love this one because it is so creative and fun. 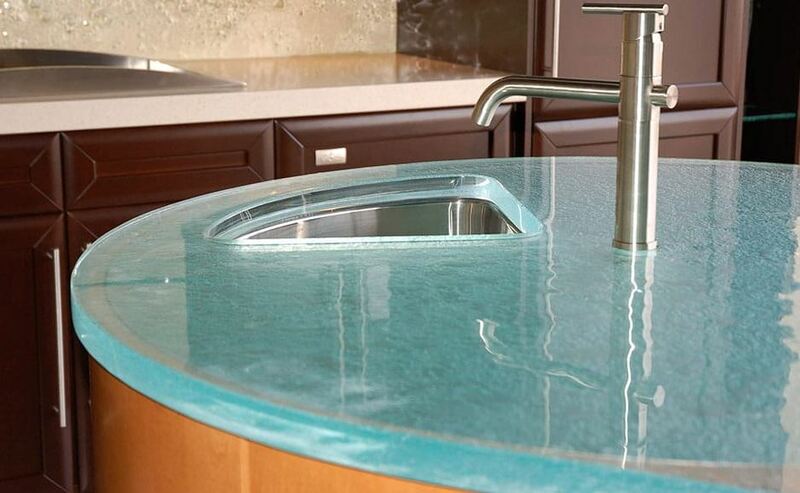 A countertop like this is sure to impress anyone who sees it. It is designed to blend with the colored tile accents that are also featured in the room. 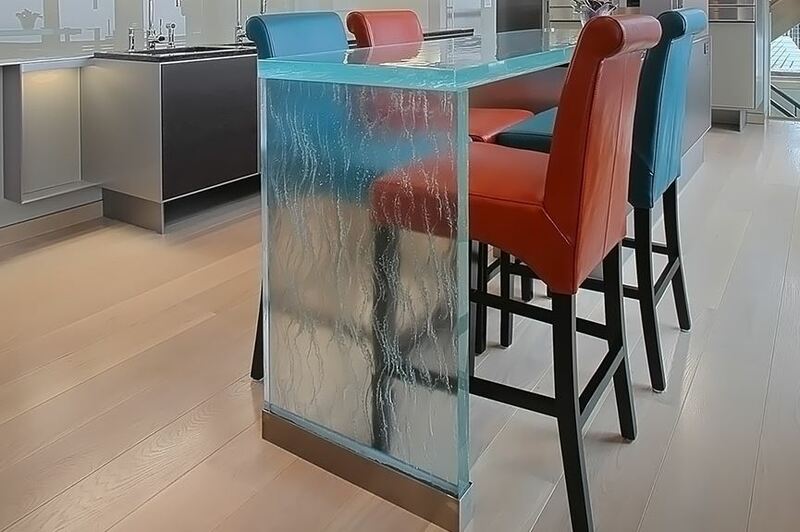 This kitchen island is cool because it features glass that could almost be mistaken for cool clear water. It has been specially designed to accommodate the sink that is built into the kitchen island. This countertop really does add a creative and unique element to the room. The shape of the counter is unique and interesting and the splashes of color add a creative touch. This countertop looks great because it works so well with the rest of the decor in the area. Glass is a good choice for a room that is quite dark or bland because it can completely change the atmosphere of the room. 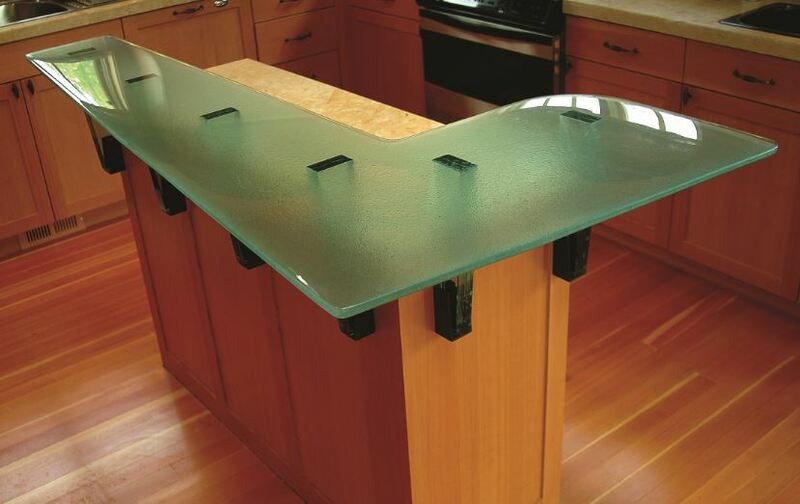 The top of this kitchen bench is made of glass and so are the legs. This is sure to appeal to you if you like glass elements because it is particularly interesting and cool. 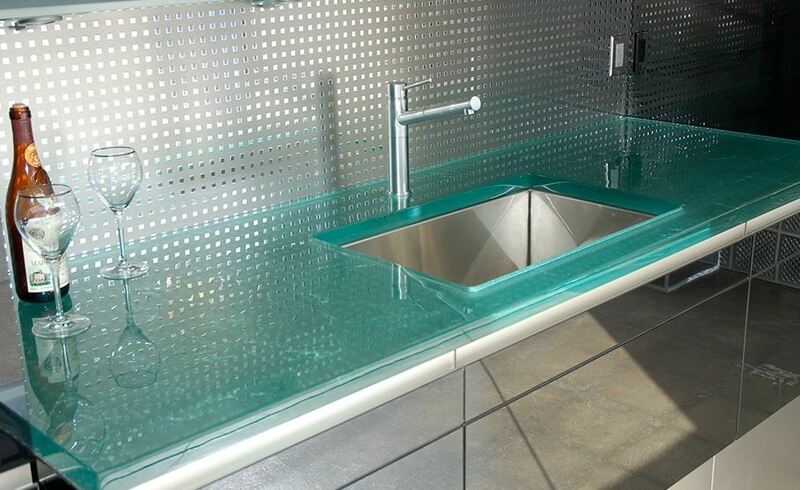 This beautiful green glass countertop is vibrant and cool. It almost looks like it is made out of ice. This fabulous kitchen island combines many unique elements. 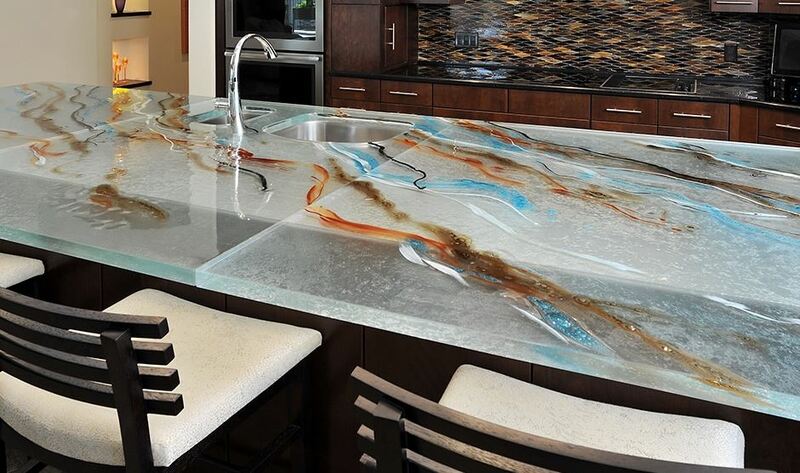 The glass counter top is cool because it features swirls of color. 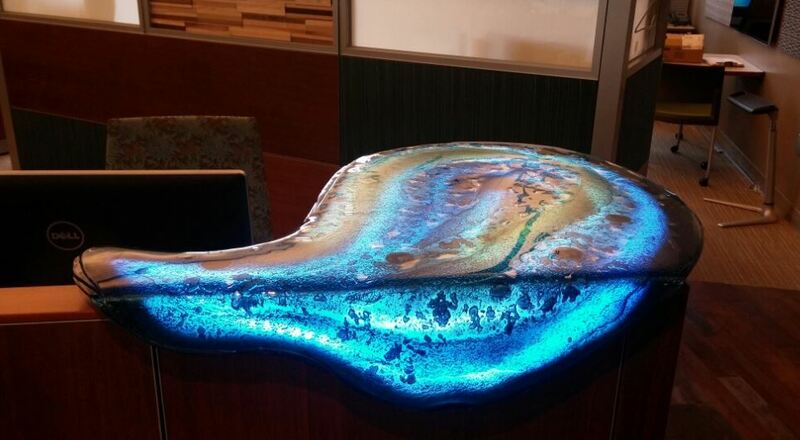 This countertop is cool because it looks like someone has painted the surface of the glass with colors. Something like this is cool because it allows you to integrate colors with the rest of the room. 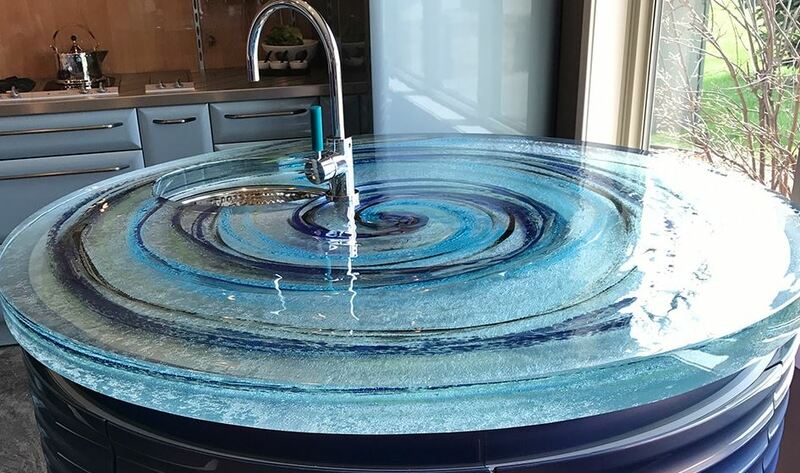 If you love these amazing countertops you may also like the following.